Ever wonder what your beloved pets are doing while you're away? Whether you're at work, on vacation, or just at the store, you'll always be able to see what shenanigans your four-legged friends are up to with Sensr.net. Just point a camera or two where Max and Spike like to hang out, and enjoy watching while your kitty trails all of the toiler paper through your house. Here are just a few network cameras we recommend for keeping an eye on your pets, available on any budget! 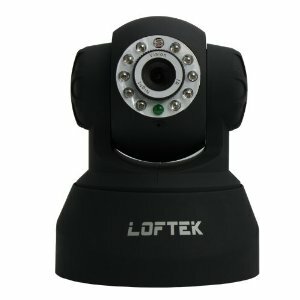 Available for only $68, LOFTEK's CXS 2200 is really the best entry level network camera for keeping an eye on your pets. Its motion detection sensitivity is great, allowing you to set it as high or low as you'd like in order to get all those great shots. It's also got night vision, so you can see what's causing Max to go nuts at 3 am every morning. The camera's also loaded with wifi, audio, has an incredibly clear picture, and of course, it works great with Sensr.net. Still not convinced? Read our review by clicking the link below. 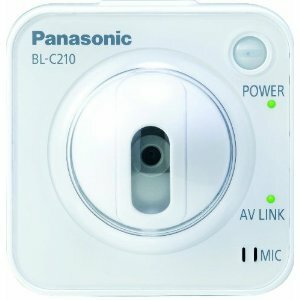 For $125, Panasonic's BL-C210 is equipped with PTZ, 1/4 CMOS (320k pixels), 3x digital zoom, and it even detects changes in movement, sound, and body temperature -- a great feature for monitoring your furry friends at home. The only potential downside is that the night vision isn't great; so if you need to see all the things that go bump in the night, this may not be the camera for you. The daytime picture is great, though. D-Link's DCS-932L is an excellent alternative if night vision is a must. No amount of money can come in between you and your pets...err, furry children! You need to know what's going in your fuzzy companions' lives with crystal-clear optics. You need the Sharx VIPcella SCN2607! 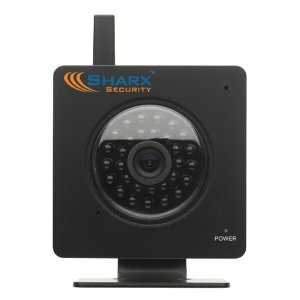 For around $280, this network camera is loaded with wifi, night vision, audio, and it captures high quality video at 30 frames per second to boot. Though the camera's IR night vision can wash out daytime colors to an extent, it has a few color settings for low light and no light settings, and it's one the better night vision cameras we've seen as far as daytime colors are concerned. Coupled with Sensr.net, nothing will stop you from keeping an eye on your pets... until they walk out of the frame. Then you need to buy some more cameras, huh?